"The great republic of medicine knows and has known no national boundaries." 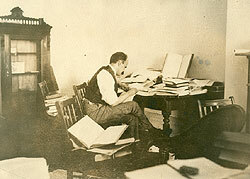 The Osler Library Archives has over 100 collections of papers by or about doctors, medical students and organisations, including Sir William Osler, Wilder Penfield and Maude Abbott. The Osler Library also has other special collections of historical medical artefacts, prints and photographs. For more information about specific or general holdings, please contact the Osler Library. The archives is at the Osler Library of the History of Medicine at McGill University, Montreal, Quebec, Canada. This site is an ongoing project. There is still material to be added.